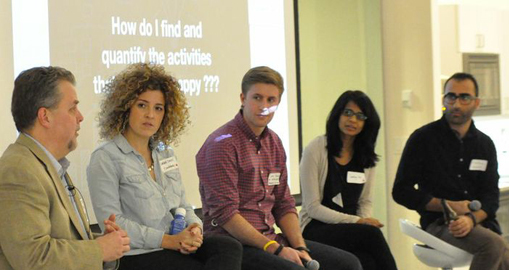 Last month I had the pleasure of being on the panel at a Product Council event here in NYC and it was so-much-fun!!!!!!!! The Product Council is a bi-monthly event where a panel of product experts providing entrepreneurs and agencies a fresh new outlet for critical feedback, ideation and improvement of their products. It was my first time attending one of the events and I really, really enjoyed it. I wish I could do it every week! At each event there are two entrepreneurs who get to present their product. The goal is really for the panel of experts to let everyone in attendance see inside their brains as they discuss the problem at hand and the solution that the product provides. I really loved this format because first, I didn’t have to prepare a presentation! But second, it was very interactive. It didn’t feel like a pitch but instead like a brainstorm that I’d have with one of my clients. The best comparison I can make is that The Product Council is like SharkTank, but there’s no investment involved. It’s an opportunity for a product owner or entrepreneur to get feedback from people who live and breathe product development every day. Because the event is so interactive, the entrepreneur can’t rely on a rehearsed pitch deck. When you’re working on a product, it’s so easy to get what I call tunnel vision. So you have to take active steps to renew your mind and come up for some new ideas. As an attendee, The Product Council provides a great space for you to stop thinking about your product and consider other people’s products. It breaks your mind from the things you think about every day and exposes you to questions, problems, and ideas that you likely haven’t though about. Basically it’s a great way to strengthen your product development skills and design thinking through learning from other people’s products and processes. 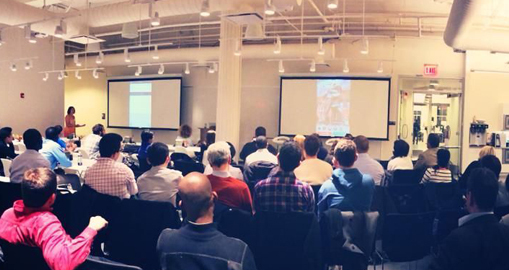 If you’re in NYC, I highly recommend you check out the next Product Council. 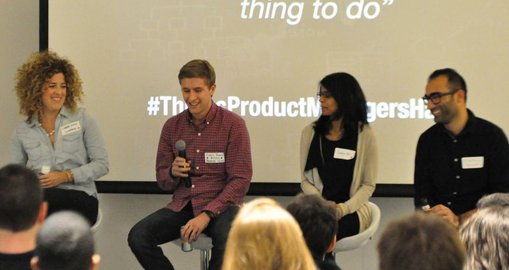 Follow them on Twitter @ProductCouncil to keep up to date on when the next event is. And, if you’re an entrepreneur who has a product that you’d like to present at the next event, send them an email at productcouncilnyc@gmail.com. PS: Thanks to Tami and Phil for coming up with this idea and creating such a fun and engaging event. Can’t wait until the next one!